The 24-hour hazmat technician is a specialized role that requires specialized training. 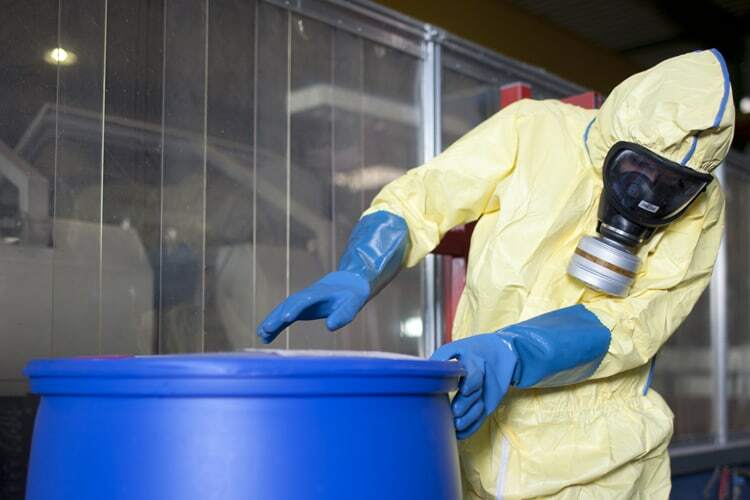 In this course, you will learn the basic knowledge and techniques required for personnel responding proactively to hazardous material spills in an industrial setting. The curriculum covers what the Occupational Safety and Health Administration (OSHA) requires as demonstrated competency at the Hazmat Technician Level. This course requires medical clearance. Please complete the Medical Form. All students must have a complete physical examination, emphasizing respiratory and cardiac fitness, before attending this course. Self-Contained Breathing Apparatus (SCBA) and encapsulated suits are used extensively, which may place an excessive strain on the heart and lungs. Register three or more people for your organization and receive a 10% group discount on all EST, HAZ, or OTI courses. Enter the code GROUP at checkout. Georgia Volunteer Fire Department members and Georgia Public Emergency Response personnel are eligible to receive a 25% discount on all HAZ courses. Enter the code HAZ25 at checkout. Review coupon instructions for more information. This course is designed for industrial emergency response teams; health and safety professionals; environmental technicians; hazardous-waste generators and transporters; treatment, storage, and disposal facility personnel; educational; regulatory; and military units. Learn how to recognize and properly respond to threats that first-responders, industrial emergency-response teams, and environmental health and safety professionals may encounter from releases of hazardous materials, chemical spills, fires, explosions, and manmade and natural disasters in various settings. Discover the basic concepts of response plan preparation and implementation. Gain hands-on practical training in PPE used in hazardous material emergency response.